Shown in Bernat Softee Chunky Forest, Pumpkin, Soft Taupe & Wine. 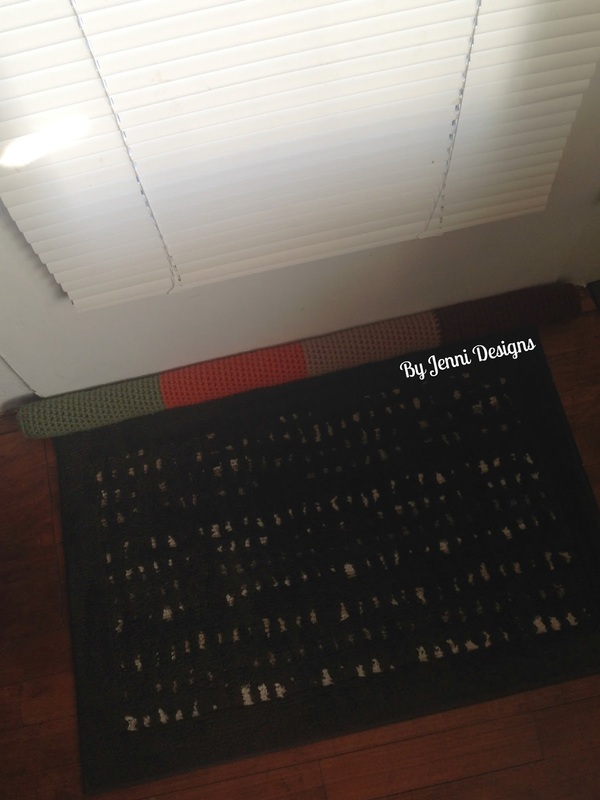 Each color section was about 26 rows each and this breeze blocker fits a door 31.5" wide. We live in a very old home (built in 1875) and lately we've had some very cold, breezy days here in Wisconsin. 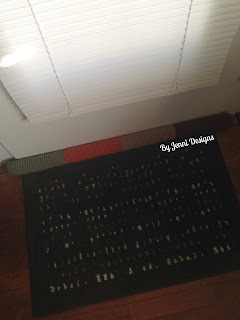 On these frigid days when the wind is blowing you can feel a breeze blowing in under the doors and we usually shove a towel or blanket by the door to block it. Well, after 10 years of living here I thought it was about time we have something slightly prettier to block that darned breeze! This is a very simple pattern but it gets the job done! Gauge: 3 sc & 3 rows = 1"
Continue working around and around until you have the correct length for your door, also be sure you are stuffing as you go. 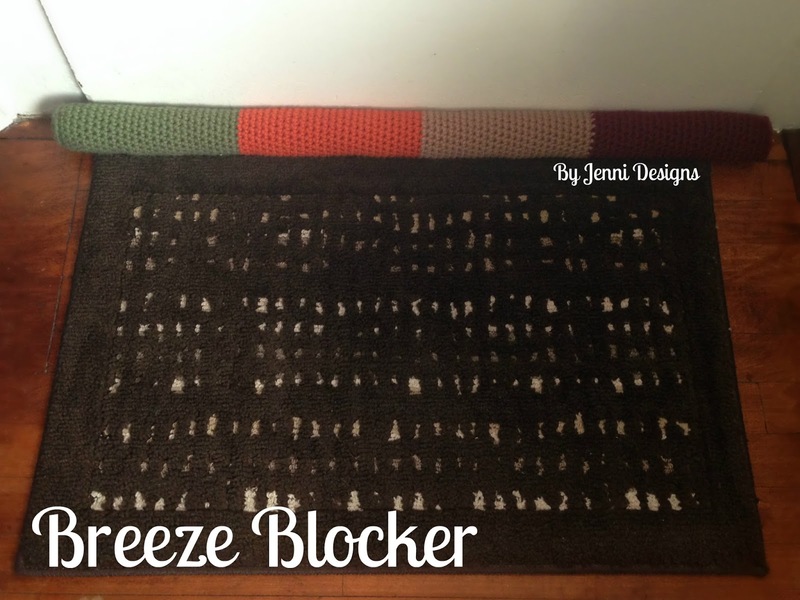 When your breeze blocker is to the desired length continue on below. Row 1: Sc around, sl st in last space. Fasten off leaving a long end sew hole shut and sew in end.